Like any frequently used appliance in your home, there may be times when your air conditioner decides to act up and malfunction. In our experience at Boerne Air Conditioning Experts, we’ve learned that the average cooling unit lasts anywhere from 10 to 15 years, and until then, it’s fairly inevitable you’ll be faced with a variety of repairs at one point or another before replacing the unit. Even if your HVAC system is newer and you make the conscious effort to have the unit serviced regularly, there are still some problems that can occur. Generally most issues that arise are the associated with the quality of installation and service, or an overall lack of maintenance. Luckily, there are many warning signs that a problem is lurking. Some of those warning signs include if your air conditioner is struggling to meet its desired temperature setting. Or if there are fluctuations or inconsistencies in the temperature from room to room. Other symptoms include if a simple filter change has an affect on the unit’s functionality. And lastly, if your air conditioning unit is quite old, that in itself can be a warning sign. If you’re faced with one or more of these situations, you’re most likely aware you have a problem and are in need of repairs. The next step is to call a technician who can diagnose the issue. 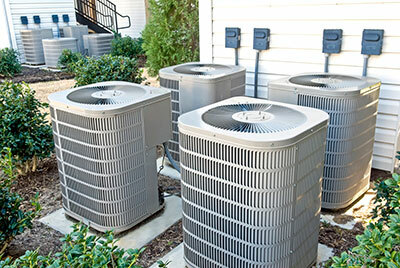 At Boerne Air Conditioning Experts, our trained professionals can pinpoint any problems with your unit quickly and efficiently so they can immediately begin with repairs. One of the most common problems we see with our customers air conditioning units is when they stop working completely. It’s possible the breaker could be tripped or there is a problem with the thermostat, handler or furnace, and the electrical components that connect the two. To find out the exact cause of this issue, first check the batteries in the thermostat. If the batteries are dead, go ahead and replace them to see if that resolves your issue. If the batteries are still good, then make sure your thermostat is in the “cooling” mode or position, and that it’s at the temperature settings that you desire. If the thermostat isn’t the culprit, next move on to check the A/C circuit breaker. You might need to flip it to the “on” position. Another issue we often come across is when the air conditioning unit seems to be working, but it has stopped blowing cool air. If you feel warm air blowing out of your vents, or if air that seems to be room temperature, you should first check your thermostat connections as well as the outdoor unit. Inspect the area around the air conditioner unit to make sure it’s clear of debris and vegetation. Keep bushes and tall plants at least two feet away, and remove leaves the fall on top of the unit. If you notice refrigerant leaks, which affect how an AC cools the air, contact one of our technicians at Boerne Air Conditioning Experts to repair or replace the refrigerant reservoir. You can tell if the refrigerant levels are low by examining the larger of the two copper lines that go into the condenser. When the AC has sufficient refrigerant levels, the line will sweat and feel cold to the touch. ​Yet another problem that may arise is cycles frequently, or repeatedly shuts on and off. 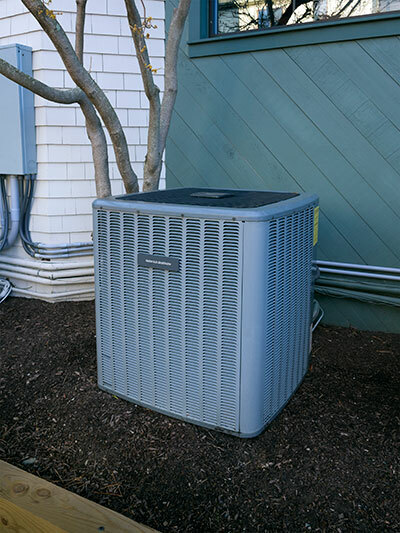 If your unit is consistently turning on and off, we call this “short cycling.” This is usually a problem with the condenser unit or the evaporator. We’ve also found that an improperly sized air conditioner will cycle on and off frequently if it is too large for your home. The system will quickly reach the setting on your thermostat and signal the equipment to cycle off. When the temperature drops below the setting on the thermostat, the unit will come on again. Rapid cycling can also occur when an air register is blowing cool air directly on the thermostat. We also frequently see water dripping from air conditioning units. When this happens, The inside component of an AC system that sits inside of a drip pan and is designed to collect water if the unit’s condensation drain line has become clogged. To find out, you should check the condensate line, the PVC pipe exiting the AC system, and if water is visible in the pan, you can blow compressed air inside the pipe to remove the obstruction. For more information on common problems regarding your air conditioner, talk to one of our experienced technicians at Boerne Air Conditioning Experts.